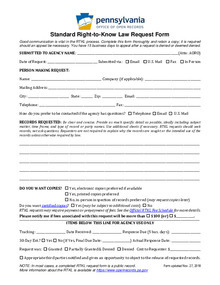 Please fill out this form to request Open Records documents from Open Records Officer Kathleen Stortz. 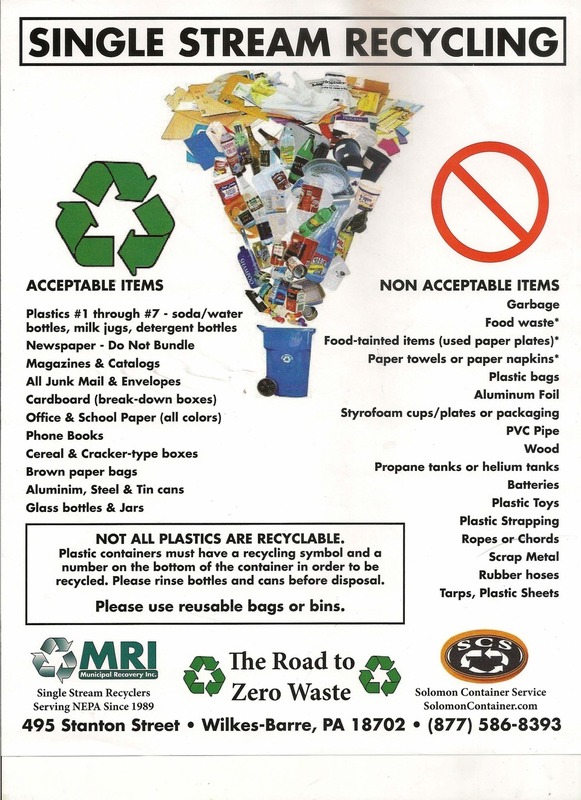 Download "Dennison_Electronics Recyling Flyer 2018.pdf"
This is the document referenced in the recent letter from Township Supervisors. 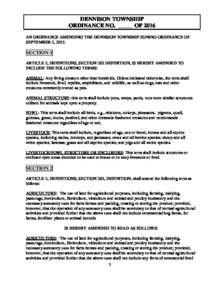 Download "AMENDMENT 9-27-16 with EXHIBITS.pdf"
The new Dennison Township Zoning Ordinance, SALDO, and Stormwater Management Ordinances are now available to download from the Documents page. Residents can now recycle in a single stream, in bins at the Dennison Township Fire House. 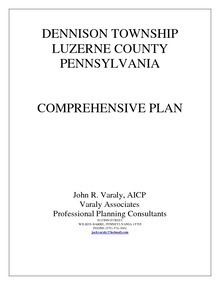 The Dennison Township Comprehensive Plan, as adopted in 1988, has been updated by the Board of Supervisors. Download your copy of the first Dennison Township newsletter here, and find out what's been happening in the township! 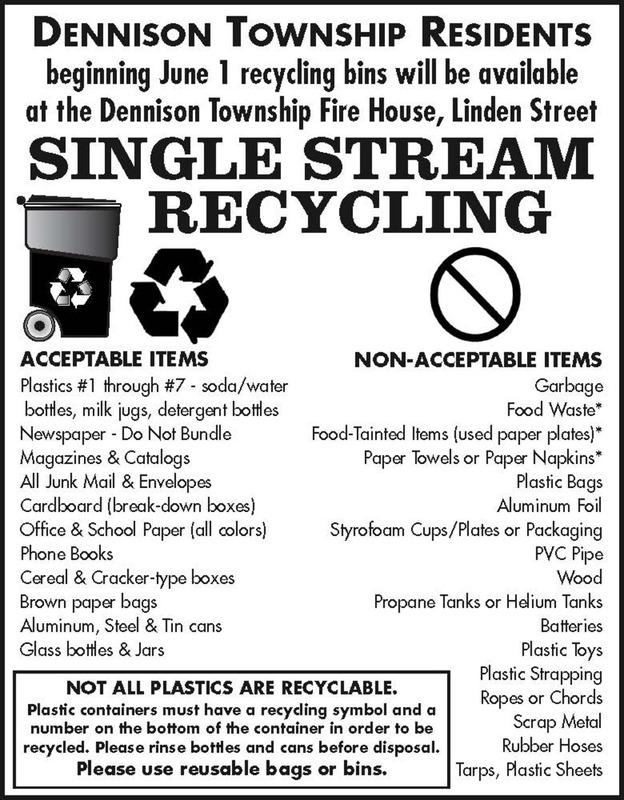 Download "2015 Dennison Twp Newsletter - 4pg Letter.pdf"
Recycling is simple with single stream recycling. White Haven Ambulance is providing ambulance service in Dennison Township. A 2016-17 Membership Application will soon be available on our Documents page. Dennison Township is a municipality of 1,125 residents covering 34.8 square miles in southern Luzerne County, Pennsylvania. A three-member board of supervisors is elected to oversee township business. 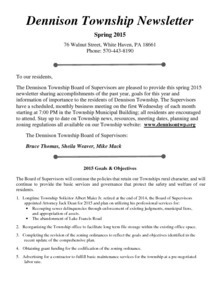 An appointed secretary/treasurer and road crew provide township services. Public safety is provided by the Dennison Township Volunteer Fire Company, and police protection is provided by contract with White Haven Borough. Copyright ©2019 Dennison Township. All Rights Reserved.